Jonathan Trigell was born in 1974 and lived in St Albans and Manchester before moving to France. In 2002 he completed an MA in novel writing at Manchester University. 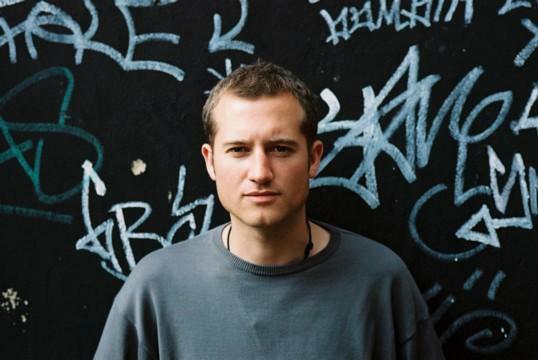 He now organizes events and races throughout the Alps for Natives.co.uk and is writing his second novel, CHAM. On Friday October 7th he and his editor Peter Ayrton are giving a talk at the Chester Literature Festival. Jonathan's debut novel, BOY A (winner of the Waverton Good Read Award) is about a teenager called Jack, which is a name the boy has chosen for himself from the Big Book of Boys' Names. He has had to shed his old name in order to rid himself of his former life and his former self: 'Boy A' - the child who murdered another child. This novel asks if a person can really start again and become someone else - and if it is right that he should. Each chapter in BOY A begins with a letter of the alphabet. This reflects the apparent naivete and bewilderment of the main protagonist - in some ways his release from imprisonment is a rebirth and he has to begin the learning of what it is to be human all over again - and this time get it right. 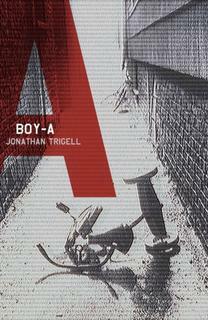 The narrative encourages the reader to see this controversial subject from several different view-points - both directly and indirectly -but the character of Boy A is always sympathetically drawn. The writing is well-paced and there are some particularly vivid and well-described scenes involving the two young murderers. The character of the father of Boy A is strongly evoked, and the relationship between Boy A and 'uncle' Terry is sensitively written and towards the end very touching. Boy A, or Jack, never actually admits to killing his victim. He comes close towards the end, admits he was there when his friend, 'Boy B' makes the first cut - but the actual killing is not recalled, and only once does Boy A ever admit his guilt - to a psychologist when it is made clear to him that this is the only way he will regain access to his friend Terry. In this way Jack's guilt remains ambiguous and the reader is never asked to feel sympathy for a confirmed child-killer - just a vulnerable young man who has been accused and convicted of the crime. Clare Dudman: Do you have any connection with snails? Jonathan Trigell: Well I live in France, so some days I don't leave my apartment for fear of that eggshell crack under my heels. I've eaten snails a few times too, but they just taste of garlic flavoured gristle to me. C.D. Whereabouts in France do you live? J. T. I live in Chamonix, which is at the foot of Mont Blanc, a French valley squashed between Italy and Switzerland. It is a fantastic place, with the most rugged mountains in Europe, known as the death-sport capital of the world. In fact, while I am writing this, I can hear rescue helicopters flying outside my window. But it is also a very peaceful almost spiritual place. C.D. Does living in France make a difference to your writing, do you think? J.T. There's a great pedigree of writers who examine their own countries from abroad, sometimes I think it is easier to look at a society when you're separated from it. Many novelists seem to feel like that, even when they are in the thick of it, as if they're tourists or aliens. Also, I think memory can be more vivid, in terms of painting pictures for the reader, than the actual experience - because the parts that are retained are the significant ones. C.D. You've led a varied life with lots of different jobs including holiday rep, guide, barman, dish-pig, driver, airport manager and ski-instructor - were you able to use any of these experiences in your writing? J.T. Most of what I write is based on personal experience, even the things that have never happened to me. The job that the central character in Boy A has is very close indeed to how things were at a company I once worked for. And my soon to be finished second novel is set in the environment of the ex-pat workers out here. C.D. Do you have a full-time job now - has this changed since your book has been published? J.T. I change jobs quite a lot anyway, and I'm fortunate to work in the winter-sport industry, where the year is quite neatly divided into two seasons and most people do something different for one six months than the other. Now I am able to pretty much dedicate myself to writing in the summer, which is great. This winter I am starting an English language weekly paper out here, for the ex-pats and tourists, which is quite exciting. My next novel will be finished very shortly. J.T. Winning the Waverton Good Read Award is certainly a contender; it is a very special prize. C.D. Do you have any other connections with the north-west besides studying for your MA in novel-writing in Manchester? J.T. I also did my first degree, in English, at Manchester and my parents met there. C.D. How useful did you find that MA? J.T. I think it was very useful in terms of learning self-editing, that's probably the most important skill I took away from it. Boy A, was in effect my thesis for the MA, and it got published so that is obviously a success. I believe Manchester is the strongest creative writing MA, after perhaps the East Anglia one, but if I had known the meagre handful of successes in terms of publication it had, I might have thought twice. Probably the number of these courses through out the country are making quite a lot of cash for strapped universities, but sowing a great deal of false hope. C.D. How easy was it to get published? J.T. I was taken on by the first agent I approached, which makes you think you're pretty much there, but it is still a long process after that. C.D. I'm presuming that the book is loosely based on the Jamie Bulger case - how closely is it based? Did you do much research? J.T. Boy A is very specifically not about that case, particularly in relation to the victim, but it does deliberately mirror some of the things that happened to Robert Thompson and Jon Venables, the two boys who murdered James - although they were eventually released without spending any time in a prison, unlike my character. The fictional crime occupies the press and public consciousness in the same way as the Bulgers' tragedy gripped the nation. But that aside, it is a very different series of events. I did do quite a lot of research on children who murder and on prison, trying to get the feel and language of those chapter right. C.D. What made you choose such a controversial subject for your first novel? J.T. The idea came to me in a late night chat with some friends and it just felt like something important that needed writing. This idea of someone appearing in the world as an adult, but with absolute innocence of the fundamental things of life and having to live in fear of their past catching up. I wanted to ask a lot of the reader, to see if they can examine their own moral certitudes sufficiently to feel for someone who has apparently done something so terrible. In a way, Boy A is also a classic coming of age novel, except the central character is doing it years later than they should have. But it gave me a means of examining a lot of the things that compose 'normal' life for young men today. I also wanted to have a look at the prison system, whether it has any reformative value. And to say something about the hypocrisy of this sliding scale of human life's importance, which the tabloid press seems to have. A scale which runs from good-looking, white and preferably blond, British kids at the upper end - significant even if they are only missing - down to black, African kids, who have to be visibly dying horribly in their millions to make it into the papers at all. C.D. Were you ever worried when writing the book about the effect it might have on someone involved in the case? J.T. I was to a degree, but I think everyone involved was already traumatised far beyond anything a loosely related novel might provoke. The tabloid newspapers disempowered the Bulger family from the beginning. Their murdered son was always called James, but some how that wasn't cute enough for the tabloids, so he became 'Jamie' straight away. There was a chapter in my novel, originally, from the perspective of the murdered child's mother. But I was persuaded that this was only there to salve my liberal sensibilities and I think the novel is stronger without it: because the story isn't about the murdered girl's mother, and it is patronising to try and condense the experience of a grieving parent into one short interlude. I think the job of a writer is to examine the important questions, which don't have obvious answers. The novel is one of the few places left to explore these things. C.D. How long have you wanted to write? J.T. Probably since I was very young indeed, I won a prize at primary school for a story I wrote; about pirates, I think. And at secondary school a teacher once told the class that I was going to be the next Geoffrey Archer - which makes me shudder now, but I believe was intended as a compliment back then. J.T. Quite recently I woke up as an atheist. Since then I have felt tremendously liberated, as if I'd been carrying a weight all this time, only to discover that the burden was God. C.D. What is the saddest thing you've ever heard of or seen? J.T. There is so much sadness in the world, and most of it is caused by poverty, but I think the saddest thing is that so much of this is avoidable. I am particularly incensed by Western politics at the moment, in terms of free trade. All the anti-globalisation protesters should really be doing their marching in favour of genuinely free global trade, which is the only way developing countries are going to drag themselves permanently out of poverty. C.D. If there was one thing you'd change about yourself what would it be? J.T. I would like to 'unclutter' myself. I find it almost impossible to throw anything away: I have jumpers in my wardrobe that I have not worn in three years; loads of cigarette lighters, when I don't even smoke; keys which so far as I know don't open anything; sufficient almost-empty-biros to make a small seaworthy raft; conkers I am keeping for when my child starts school - though of course I have no child; socks whose partner has not been seen in a decade; a jar of olives, saved against an improbable future in which I like olives; instruction manuals from appliances long since departed; soaps and sewing kits liberated from hotels in case of a world-wide soap and sewing kit shortage; half measures in the bottom of various large bottles of spirits, that no one likes; and all of this in one of the smallest living spaces in Europe. J.T. I live in a studio flat (which sounds better than 'in one room') so I have my desk and computer underneath a mezzanine bed. I generally stumble down and switch on the Radio 4 Today Programme over the internet, to hear a bit about what's happening back home, while I make a coffee strong enough to unglue my eyes. J.T. Happiness is wanting everything you have, as opposed to having everything you want. Interdependence, through comradeship, children, dogs or love. Regular exercise. Regular meals. Something in your life that stretches your mind. And landscape, I think it's important to be able to see a bit of nature around us, even if that's just a park or a river. I have just put 'Boy A' down and googled J.T. out of curiosity. This is where I ended up! Utterly fascinating and left me with a thirst for 'Cham'. Having done the exact same thing as 'anonymous', I too am off to my local Waterstones for a copy of 'Cham'. Having visited my brother, who also lives in Chamonix, many times, I feel certain that I will feel a familiar surge when I begin to read about this captivating, strangely decadent place, which seems to exist as a self-contained parallel universe, with many of its inhabitants ending up there as if trying to escape from something. I can't wait to read it. have just read this book in a day only put it down to do the essentials ! brilliant it makes you change your way of thinking how could i have wanted a child murderer to succeed in his new life ??? definatley ready for another Jonathan Trigell book NOW !!! I have just returned from Chamonix on what was supposed to be a skiing trip. However, I didn't make it beyond the first personalised lesson given by a 6' 4'' drop dead gorgeous French instructor. Was a disappointed? A little but it didn't last long as, on venturing into the bookstore and buying Jonathan Trigell's novel, I was in a different world for the next two days. It made me question my perspective on the issues involved in the storyline and gave me cause for deep thought. I found the book riveting and its finale intriguing. Could the author perhaps follow it up in a later book - or film? Funny you should say that - there's been a film already. You can probably get it on DVD.